Caption slip reads: "Photographer: Snow. Date: 07-25. Assignment: Police chase. 3: Officer J.W. Romero frisks suspect Willie Lopez Garles. Officer W.H. 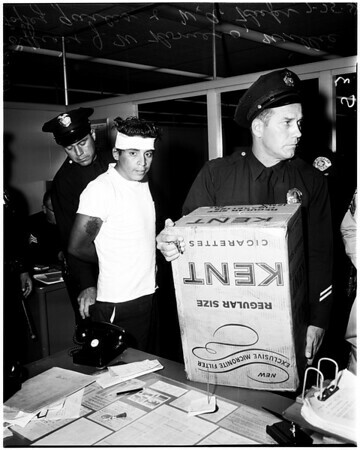 Keefer shown with stolen cigarettes. Suspect Willie Lopez Garles".